The EC launches a call for funding of projects in electricity, gas and smart grids infrastructure, which will run until 26 April 2018. 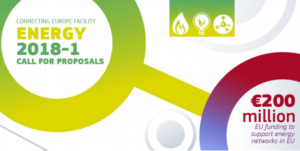 The EC opened a Call for Proposals under the Connecting Europe Facility (CEF) in which it will provide a total of €200 million in financial assistance to key EU energy infrastructure. The call is open for PCI projects that will help eliminate grid bottlenecks and generally aid in boosting the free energy transition in the EU. Both academic studies and construction works are eligible for funding, but the projects must also meet certain criteria, including: (i) being capable of “delivering significant benefits in a macro-regional context”; (ii) increasing competitiveness; (iii) being directed at improving security of supply; and (iv) focusing on environment protection and in the integration of energy from RES. The call will run until 26 April 2018. Projects submitted in response to this call will be evaluated in the coming months, and the results will be communicated in August 2018. A further call will be launched in June 2018.